The comfortable large-volume 25c casing and the fast-rolling 23c Dual Radius Tread (DRT) ensure a supple ride that rolls fast and corners extremely well. Dual-compound Dual Radius Road Tread. Flak Jacket proven puncture-resistant Aramid sub tread. 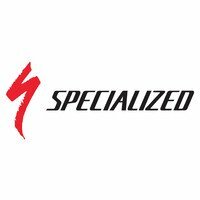 Specialized have almost created a sub brand with their Roubaix line of fast-rolling but comfortable bikes. The Specialized Roubaix Pro Tyre follows the same fast-rolling but comfortable formula. Supple 120tpi 25c casing for a nice level of comfort and shock absorption. 700 x 23c Dual Radius Road Tread: inspired by racing motorcycle tyres designs, Specialized's dual radius tread has a minimal, siped, fast-rolling contact patch in the middle and a bigger, softer contact patch on the corners for improved grip when you lean over. Dual Compound: 70a centre and softer 60a shoulders. Aramid bead is light weight and foldable - dead handy if you want to carry this tyre as a spare.